At AZ Autos, we believe that everyone has the right to be treated with respect. This is why we act with complete transparency whilst delivering great products and services. 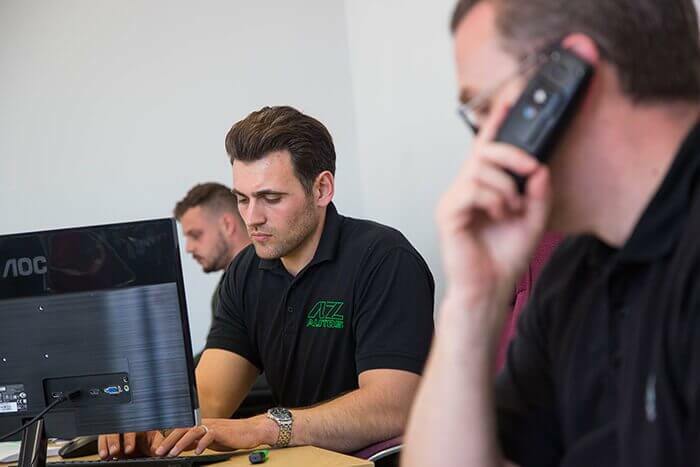 We invest in our staff in the belief that a happy workforce will deliver exceptional quality. This explains why AZ Autos has been trading for over 90 years as a family business. We invest in staff training and equipment to make sure we can deliver a service that matches and sometime exceeds a main dealer experience. We have a Workshop Representative who will act as your point of contact and will explain everything in a language which you can understand. We source parts from the manufacturer to recommended pattern parts to cater for all budgets. Based in Hitchin close to the train station if you are catching the train to work or we can even offer you a complimentary courtesy car. We undertake all types of work from an MOT to an engine rebuild. It is important that our customer’s feel they can buy with confidence, that is why we are pleased to say that we are an RAC Approved Dealer. all of our vehicles come with RAC BuySure; a guarantee that every vehicle has been prepared to the RAC 82 Point Approved Vehicle Standard and come with 12 months complimentary breakdown cover and a minimum of three months Warranty from the RAC as standard. We also offer competitive finance rates, quick decisions and we can search the market place for the best finance deal if you have poor credit. Our branch is situated between Hitchin and Stevenage in Hertfordshire (0.5 miles from Junction 8 of the A1M) and is open 7 days a week. Our highly trained staff are happy to offer test drives, answer any questions, value part exchanges and operate a ‘no pressure’ approach. We partner with Google, the Best of Hitchin, The Good Garage Scheme, Facebook and the Review Centre to collect customer testimonies. We currently have over 450 reviews from our customer and have won awards for our Customer Service. So we can proudly say that we are a company you can trust. It’s the best garage around. Great service and friendly advice. Competitive prices. Always happy to help. Top team. Excellent garage. Always take our cars here. Leave them in the more than capable hands of Chris and the team. Updates through out the day, honest time frames given, cost options presented to you and always returned on time. Courtesy car options also. Can’t beat the service and price. Perfect everything. I highly recommend AZ Autos, they are awesome.